HARRIS COUNTY – The Harris County Flood Control District continues to make improvements in the Greens Bayou watershed and in November of 2016, they began a project to excavate and construct the Hall Park Stormwater Detention Basin along Halls Bayou in Northeast Harris County. The project site is bordered by U.S. 59 on the west, Willie Street on the east, Langley Road on the north, and Wiley Road on the south. It is a 97.4 acre property that formerly housed the Hall Park subdivision. When completed, the basin is expected to have the capacity to store 734 acre-feet, or 231 million gallons, of stormwater. This stormwater detention basin construction project will reduce the risk of flooding by providing additional stormwater storage for areas near Halls Bayou. The project includes relocating a City of Houston sanitary sewer line, removing debris, trash and abandoned tires, and excavating approximately 1.2 million cubic yards of dirt with offsite disposal. Some vegetation and trees will be cleared in the area that will be excavated, but the contractor will work to maintain a forested buffer along the basin’s boundaries, and near Halls Bayou, which runs through the site. As a part of this project, Flood Control District foresters carefully considered opportunities to save or relocate trees in our right of way. Access to the work area is via Dodson and Wiley roads. The contractor is using heavy construction equipment such as dump trucks, backhoes and bulldozers. 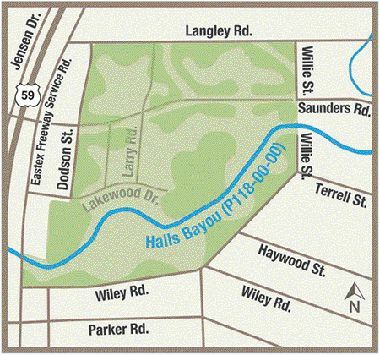 As a part of its Bayou Greenways 2020 project, the nonprofit Houston Park Board is designing the Halls Bayou Greenway, which includes a hike/bike trail, landscaping and neighborhood connections, along the southern edge of the detention basin. The full Halls Bayou Greenway will provide 9 miles of publicly accessible open space from Brock Park to Keith Weiss Park. 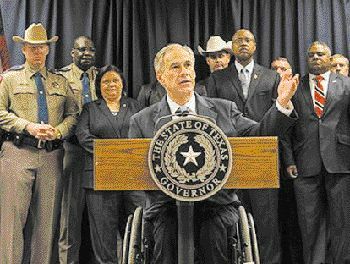 AUSTIN– April 10, 2017 – Governor Greg Abbott today held a press conference in Houston where he announced a new operation to crack down on the alarming rise and brutality of gang-related violent crime in Houston and Harris County. During the press conference, the Governor expressed concern about the double-digit growth in the violent crime rate in Houston and in Harris County and laid out his plan to take action in collaboration with the FBI and other local law enforcement agencies. To help combat this wave of gang-related violence, Governor Abbott is immediately directing state resources to a violent crime reduction operation in Harris County. • Establish a Tactical Operations Center in Houston to enhance and coordinate operations around the clock. • Provide $500,000 in new funding from the Governor’s Criminal Justice Division to increase Texas Anti-Gang Center resources in the Houston area. • Deploy additional Texas Rangers and DPS Special Agents to support local law enforcement. 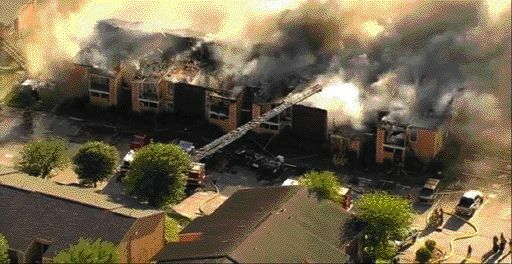 ALDINE – A fire erupted last Wednesday morning at Capewood Apartments on Aldine Mail Rt., near JFK Blvd. Firefighters responded just after 8:00 am to the scene to fight the fire. Strong winds made it difficult for firefighters to battle extinguish the fire and called for a second alarm, by 10 am, the fire was under control, authorities reported. About ten different fire departments responded to the fire because there was only one hydrant available and additional water from the fire trucks was needed. Witnesses told authorities they saw two individuals running from the building. The building was under renovation at the time of the fire and no tenants were living at that building, all 24 units ere destroyed and no injuries were reported. The cause of the fire is under investigation and authorities are still trying to identify the two people saw running from the building. EAST ALDINE – Members of the community assembled last Thursday night at the offices of the East Aldine District, for an informal meeting with Sheriff Ed Conzalez. In addition, attendees heard update reports on community progress from Claudia Segura of Pct. 2, David Hawes from the East Aldine District, and Jose Rivera from BakerRipley. They also heard a report from Aldine school superintendent Wanda Bamberg. Segura said that Pct. 2 is building a new walking trail in Crowley Park and creating another pocket park in the area. David Hawes reported on the progress for the new Town Center on Aldine Mail Route, where all four projects are due to start construction within a few months. Much of the Sheriff’s talk centered on his efforts to run the department since he has only been in office 3 months. He cited as accomplishments a reduction in overtime by 46%, and said the savings meant he could have more patrols on the streets, and furnish new equipment and cars for the deputies. He discussed the Jail, which has 9000 inmates. He has established a new mental health unit within the jail, he said. He also is actively hiring more guards. He also said the city and the county are working on hiring a new administrator for the jail to bring more experience and professionalism to its management. Gonzalez discussed the ongoing problems with the Haverstock Hills apartments, which was the scene of a double homocide just last Sunday night. He incidated that his office has increased patrols, and has officers on the property, but that with thousands of residents, the landlord must improve the situation for safety. A 2010 injunction by the County Attorney’s office is still in effect, and has reduced crime by 30% he said. Residents recently held a rally, asking the owners for armed patrols, more security cameras, locked gates and a manned guard station. In other community policing efforts, Gonzalez cited bike patrols in Keith Wiess park as a success, and thanks the district for working as a partner on these activities. The Sheriff was questioned by several citizens in the audience about improving patrols. One resident spoke about the amount of grafitti or “tagging” that is occuring on Sellers Road, and asked for help in eliminating that problem, since it also indicates gang activities in the area. Gene Mendoza asked the Sheriff to explain his department’s policy on immigration, and especially how he deals with illegal aliens when apprehended. Gonzalez said that the department had formally withdrawn from enforcing the federal 287g program, where arrested aliens are held for ICE. He said that one of the reasons was because the federal government did not pay for the assistance they requested. However, when specifically asked, he said his department will work with ICE. Richard Hide complained about the junk cars in the Colonial Hills neighborhood, and asked for assistance in removing them. The director of Pilgrim Place II reported a large number of thefts from cars in the parking lot, and asked the Sheriff to provide more patrols during the night shift. A resident asked for a deputy to patrol Aldine Mail Route on foot during the hour when students cross to Hambrick and MacArthur schools, citing the recent student pedestrian death. School superintendent Wanda Bamberg said that Aldine ISD and Harris County Pct. 2 were taking steps to improve safety, including changing the driveway at Hambrick, hiring more crossing guards, adding a red light, and conducting a traffic study to be able to lower the speed limits. Raul Macias reminded attendees to submit a letter to the city, asking for action to widen Aldine-Bender, and to proceed with the work as a priority item. Castlewood Civic Club informed everyone that they were holding their first Festival on April 8, and all were welcome. East Aldine is holding a Clean-up and Tree-Planting in Keith Wiess Park on April 22nd, which is the national Earth Day.